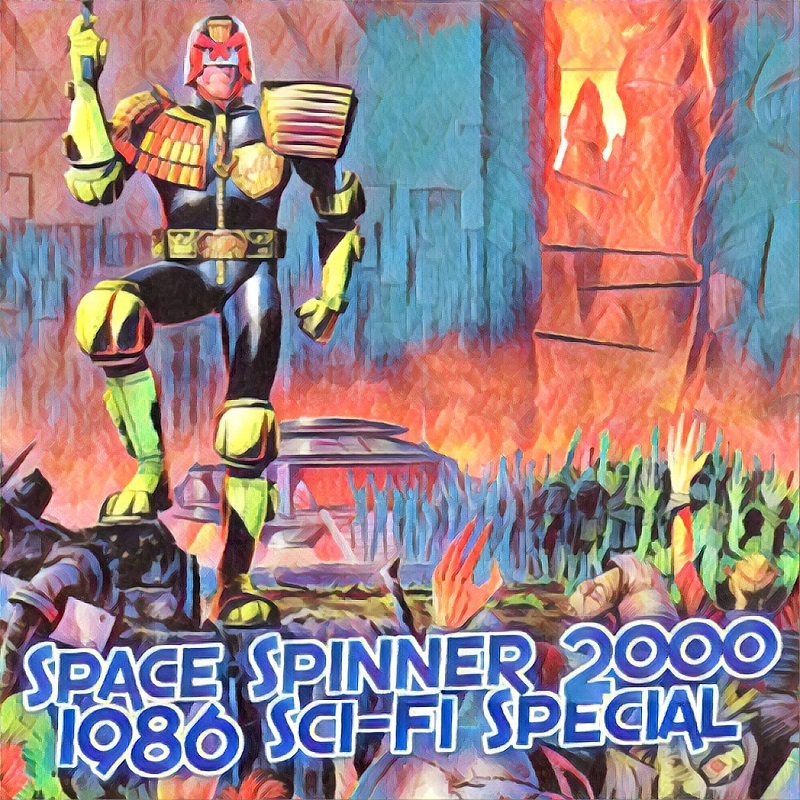 In our thrilling hundred and forty-sixth episode we continue our journey through the Galaxy’s Greatest Comic with the 1986 Sci-Fi Special of 2000AD. This Special has some great stories featuring Judge Dredd, Rogue Trooper, and some classic Strontium Dog action! This episode Conrad is joined by Drew of the Stranger by the Dozen podcast! You can find both Drew and Conrad there, recapping the adventures of the Marvel Comics character Doctor Stephen Strange! 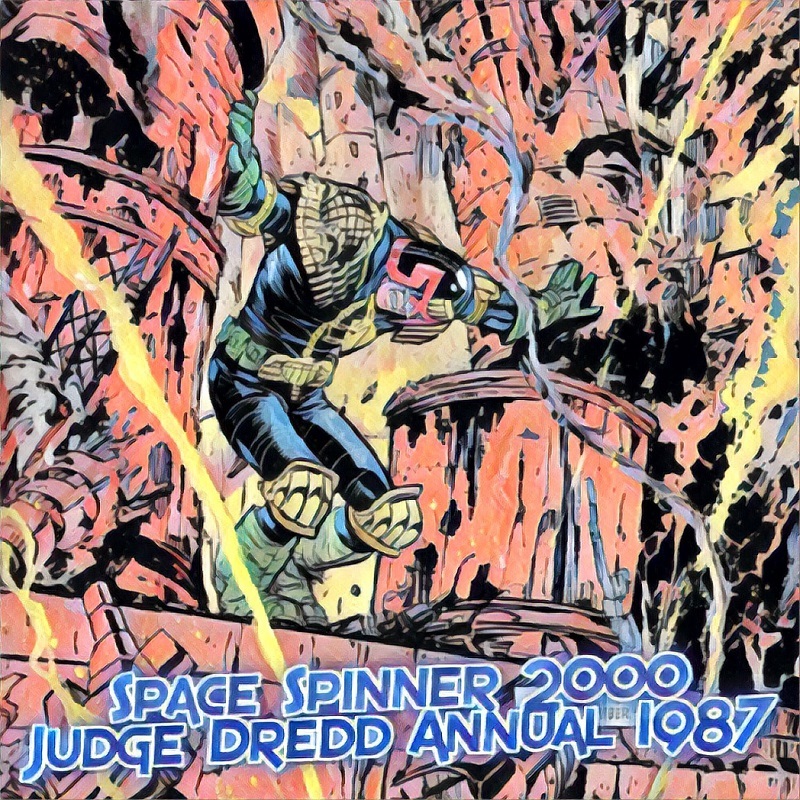 Drew is new to the world of 2000AD, Judge Dredd, and British Comics in general, so Conrad takes some time to introduce him to the Galaxy’s Greatest! If you’re new to 2000AD or to the podcast, this is a great place to start! Or on your favorite podcast app! Please let me know what you think of the episode! I have been reading ahead a bit and am at the Kenny Who story. It is probably too late to say this for recording the Podcast but the man in the bar Kenny Who gets drunk with bears a striking resemblance to John Wagner. Considering the story is an affectionate nod to Cam Kennedy's experience in the US, perhaps this is him returning the complement to JW. In our thrilling hundred and forty-seventh episode we continue our journey through the Galaxy’s Greatest Comic with the 1987 Judge Dredd Annual. This is the seventh Dredd Annual, and we have three new full color Dredd stories drawn by Ian Gibson, Brendan McCarthy, and Bryan Talbot, as well as classic Dredd, some features, and a Brett Ewins Max Normal tale. This episode Conrad is joined by friend of the show and 2000AD and Dredd fan Jo Eadie! The second story is sadly awaiting Vol 3 but is my favourite: "The Sheriff of Festering Hole" features Mike Collins art and some brilliant Dredd shenanigans as Dredd becomes Sheriff of an outlaw infested town and has to employ various dirty tricks to clear them out "What xactly does he mean by excessive facial hair?" Genius! 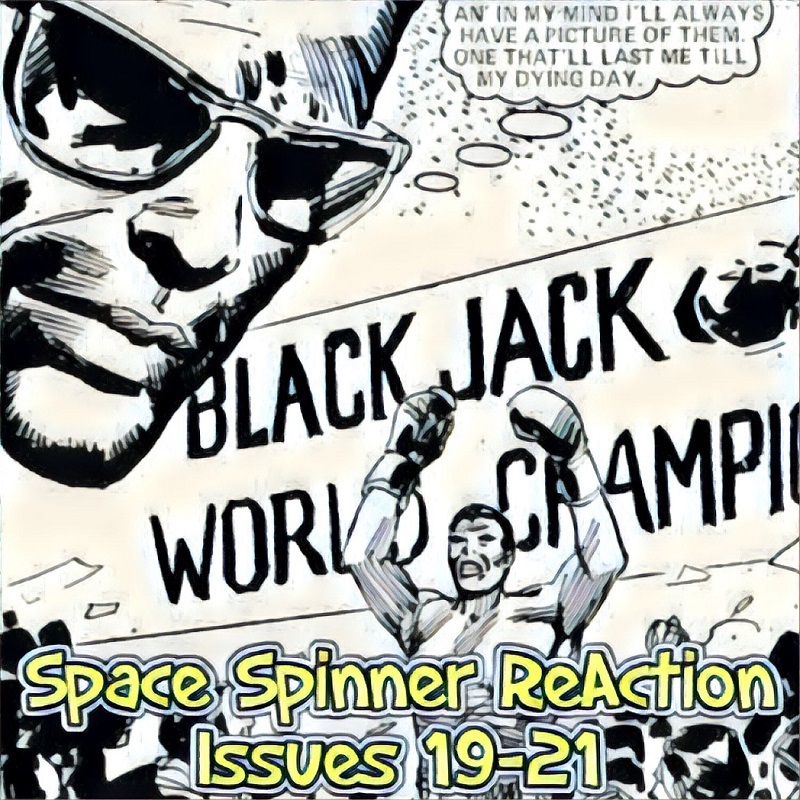 In our action-packed seventh episode Conrad continues the journey through the pages of the infamous classic UK comic with issues 19-21 of Action! This time we head out on Hell’s Highway, Lefty sells some gnomes, Dredger checks out the Olympics, and Hookjaw goes to a nice restaurant! In our thrilling hundred forty-eighth episode we continue our journey through the Galaxy’s Greatest Comic with the 1987 2000AD Annual. This is the tenth 2000AD annual and we’re seeing a great combination of new stories and classic thrills in these pages. The highlights of this year’s annual include the classic Ro-Busters story The Terra-Meks, stories of a young Strontium Dog, and some undercover work in Mega-City One! This episode Conrad is joined by 2000AD super fan Dave Wynn, aka Scowling Monkey! Apologies in advance for having the mic WAY too close to my mouth. 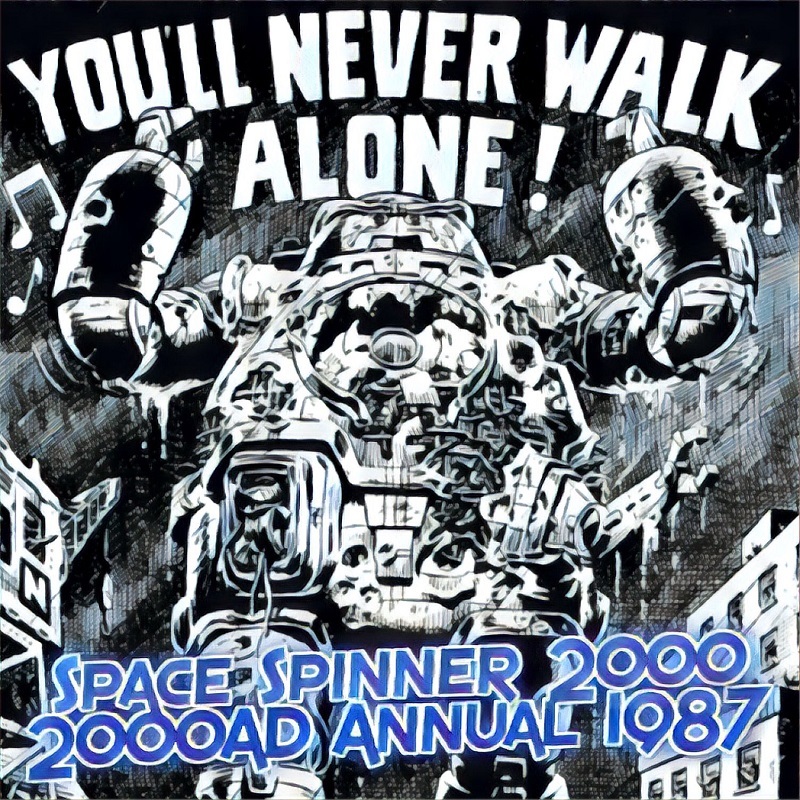 Space Spinner 2000 has reached Livin’ on a prayer? Had to google the annual cover, which is not a good sign, as I immediately new exactly what the other covers were you discussed either side - If it was about money, why not get O'Neill to do the cover, and Smith could have done the interior page? Yeah, definitely an odd choice. What a blistering cover it could have been with O’Neill on the front! For sure there's a lost of cost-saving going on in these annuals, kinda like the reverse of the current trend of saving up money to splurge on the end-of-year 100 page beasts!